The client is obliged to pay 50% of the total amount immediately, based on the estimate received, while the balance is to be paid 4 (four) weeks before agreed accommodation. Payments are made in cash (KN), by banker's order or credit card. The client is also obliged to submit a crew list, copy of a skipper's licence and VHF licence to the supplier, 4 (four) weeks before agreed accommodation. The price from the price list includes vessel accommodation services for guests. The prices do not include fuel costs. The vessel shall be handed over to the client with a full fuel and water tank, clean and in full working order, and should be returned in the same condition. The service provider is obliged to start with the accommodation services on the vessel in the place and at the time appointed, in full working order. Should the service provider, for whatever reason, be unable to make the vessel available to the client in the place and at the time appointed, the client may request a refund of paid amount for the days during which he was not use the accommodation services. Should the service provider be unable to provide the accommodation services or to make the vessel available, in the place appointed, 24 hours after the deadline, or provide a similar or superior vessel, the client has the right to withdraw from the agreement or request a sum equivalent to the daily accommodation services price, for the number of days during which the vessel was not available. All other rights to compensation are excluded. The client is required, upon collecting the vessel, to confirm that it is in full working order and has the equipment listed on the check list. Potential complaints must be made before starting the journey, and the client is not entitled to a lower price as a result of shortcomings not noticed when collecting the vessel. The client is obliged to return the vessel to the appointed place at the appointed time. Should the vessel be returned late, or to another location, the client shall guarantee to pay a sum equivalent to the daily accommodation services price for the first three hours postponement, and for postponement greater than three hours, three times the daily accommodation services price, plus the extra costs incurred by the service provider due to the late return of the vessel. A late return may only be justified by forces beyond the client's control, of which the client must immediately inform the service provider. The vessel is insured for third party damages (compulsory insurance). Fully comprehensive insurance covers all damage with a franchise of 1.000 to 2.000 Euros (depending on the insurance policy and value of the vessel). Upon collecting the vessel, the client shall leave a security deposit of between 1.000 and 2.000 Euros, payable in cash or by credit card. The security deposit will be refunded in full when the vessel is returned undamaged and clean, within the time agreed. The security deposit is also payable when a skipper is hired along with the vessel. Damages covered by the insurance policy, but not immediately reported to the insurer, will not be acknowledged, in accordance with the insurance terms. In such cases, the client shall be personally responsible for the full amount of the costs incurred, due to failure to notify or late notification of damage. Sail damage is not insured and such costs shall be the client's responsibility, unless the sail damage is due to mast breakage. Any actions or omissions on the part of the client, for which the service provider is answerable to a third party, and which imply material or criminal liability for the service provider, must be compensated by the client as a result of his own negligence. The client is responsible, in particular, should the vessel be seized by the state organs of government, as a result of illicit actions. In the case of damage or accident, the client is obliged to write down the sequence of events and seek confirmation of the same from a harbourmaster, doctor, or other competent body. He must also inform the service provider of the same immediately. Furthermore, the client is obliged to report immediately to the competent authorities and the service provider, should the vessel disappear, his inability to sail the vessel, and should the vessel be taken from him or stolen, sailing prohibition measures imposed by state organs or third parties. Costs arising from the loss or damage of parts of the vessel or equipment are to be borne by the client, and shall be deducted from the security deposit by the service provider. The client is obliged to check the level of the engine oil on a daily basis. Damage caused by a lack of engine oil or water is not insured, and will be charged personally to the client. Damage to the underwater parts of the vessel, requiring examination, will also be charged to the client. Damage to the outboard motor is not insured and any damage caused by carelessness on the part of the client will be charged to the client. 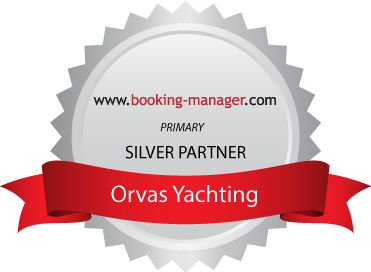 The client is obliged to sail within Croatian territorial waters, and any exceptions require special written permission. The client promises not to rent or lend the vessel to another person, not to participate in regattas and not to use the vessel for commercial purposes or professional fishing. At night, the client promises to sail only in safe weather conditions, and to respect customs and other regulations. The client promises to keep the ship's log in the prescribed manner and to handle the vessel, its inventory and equipment with care. The client must declare possession of valid authorisation for handling the vessel, or that a crew member with the appropriate licence will handle the boat. The service provider retains the right to withdraw from the contract up to 15 days before the commencement of the charter period. In such cases, the service provider is obliged to return all monies paid by the client for the charter. 100% of the accommodation services price, for cancellations received within a month of the commencement of accommodation period. In order to improve our quality and your satisfaction, with a complaint, provide us with your name and address, so we can promptly acknowledge receipt of complaint and send you a written response within 15 days. In the case of disagreement or dispute, a peaceful settlement will be sought. If this is not possible, the competent Court is in Split.